You can be really smart AND like really crappy TV. Science says so. That time when science proves something you’ve inherently already known. It is now. You can like crappy TV and movies and be a smartypants. In fact, intelligent people like crappy TV shows for a reason. There is such a thing as ‘ironic’ watching and to actually appreciate the true wonder that is ‘bad television’ you need to have brains. New research, published in the journal Poetics (is there a better journal name in the world? ), surveyed a number of people on their movie-going habits and found those that enjoy bad movies, are actually the most well-schooled. It turns out you need to have a deep knowledge and understanding of all things cinema, to really get a kick out of Nacho Libre, Deuce Bigalow, Blades of Glory, ‘bad’ films. These participants could see a movie like Face Off (it’s about a police officer and villain who swap faces via laser surgery and hunt each other down: John Travolta + Nicholas Cage = ~science), and appreciate the “so bad, it’s actually good” irony factor. Those who weren’t so schooled? They just saw a horrible rendition of two angry men swapping faces (the philistines). 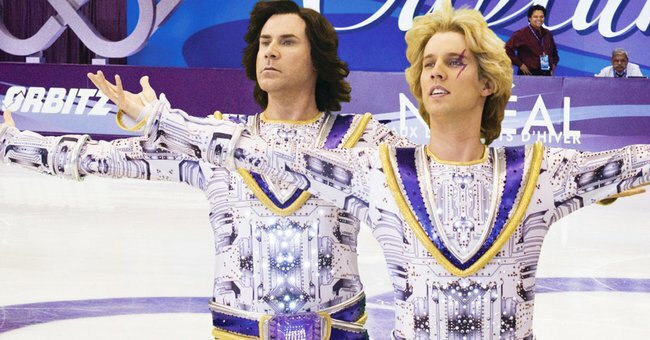 You’re ‘smart’ if you like it: Trailer for the 2007 comedy “Blades of Glory” starring Will Ferrell and Jon Heder. Post continues below video. The other thing about bad films, they’re often relatively “out of the box”. This deviation from the Hollywood norm is probably why survey participants lumped bad films and indie films in with each other. Their unexpectedness is cause for appreciation. “Liberating”. Yes, it’s liberates for an hour or so smart people from all those smart thoughts in their head. We also love them differently. The authors say it’s an ironic love, not an earnest one. Hear that? “Trash connoisseur” is the best excuse I’ve ever heard for watching every. single. Fast and Furious ever made. Get on it (if you’re ‘schooled’ enough).